At Eskgrove, we wanted to build homes that were different! We wanted them to be built from sustainable materials, to be energy efficient and most of all look and feel unique! 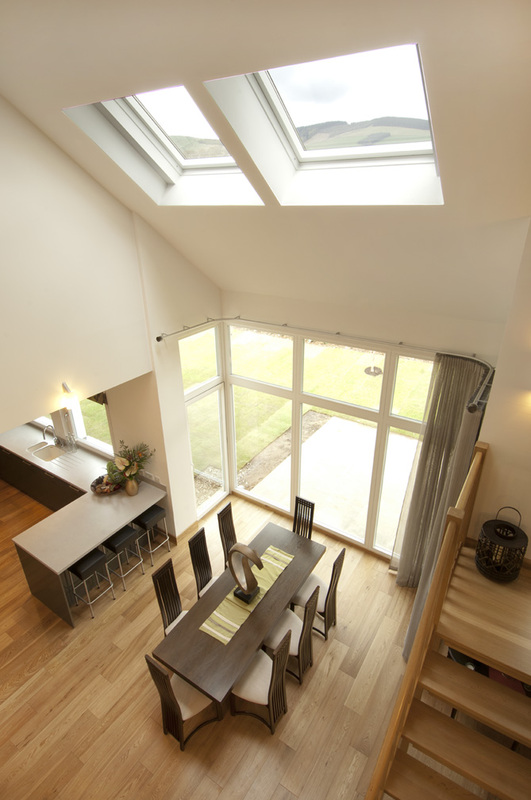 In 2011 we started researching what people actually wanted in their new build homes. The feedback was conclusive! Large liveable spaces, lots of storages, energy efficient and easy to run and most importantly was homes had to be practical for how families want to live today. From there, we set about developing a new type of new build home. 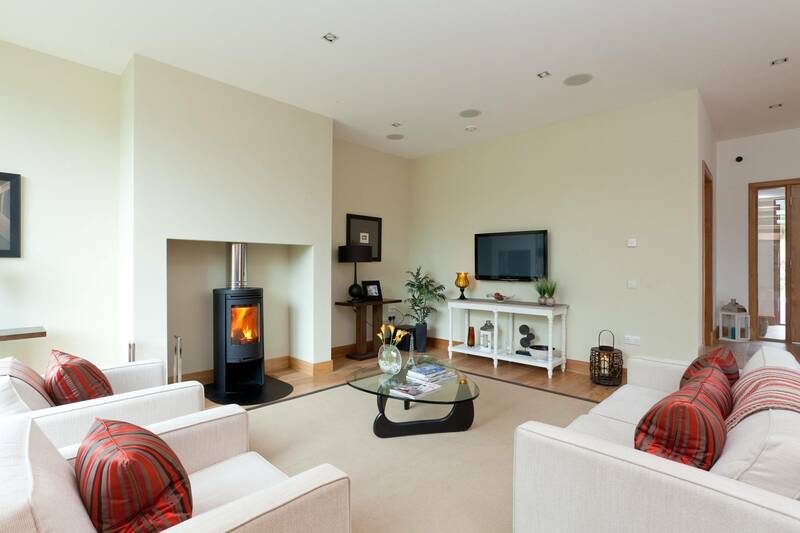 A home that was warm, bright, and quiet so we choose to build our houses with more insulation, bigger, double or triple glazed windows, and more acoustic insulation in partitions and intermediate floors. Higher ceilings heights provide a sense and reality of spaciousness. Each of Eskgrove home is beautifully crafted and carefully tailored to suit the homeowner’s lifestyle and preferences. Eskgrove actively promote the use of timber products sourced from well managed, sustainable sources and maximise the benefits of timber design to reduce raw materials’ waste during manufacture and construction:. use particle board with no added formaldehyde. 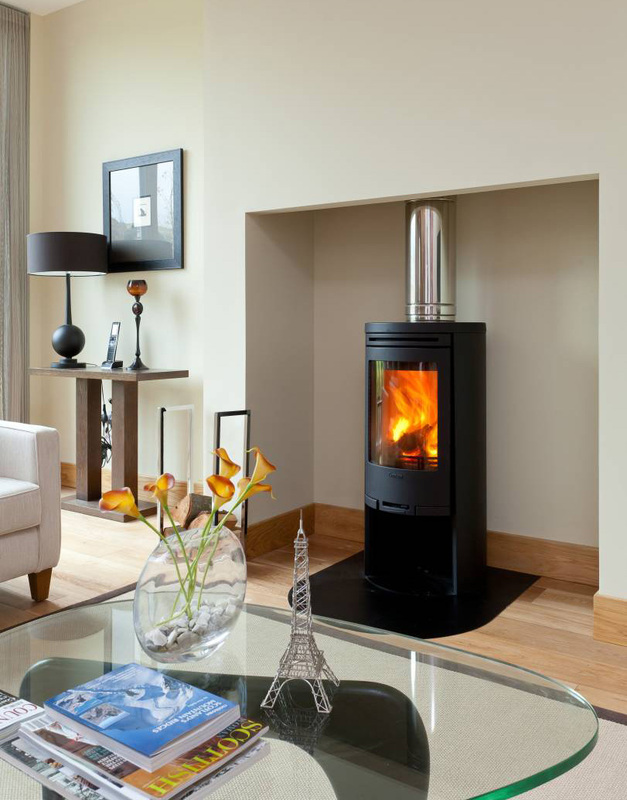 manufactured using only the very best strength graded and kiln dried timber. structural timber is stored under cover in a temperature controlled environment to maintain the correct moisture content. We use Canjaere Classic a prefinished and high performance cladding. A new,stabilised building material with many added value opportunities. increased water resistance and stability. Using PAR (Proprietary Acrylic Render), Eskgrove Homes have made an enduring, environmentally responsible choice of material. PAR has been used externally as a more modern alternative to traditional cement render. Good weather resistance / waterproofing. Improved resistance to freeze-thaw over cement render. Designed to meet existing and future Building Regulations/Standards towards the zero carbon target, while delivering an aesthetically pleasing home. 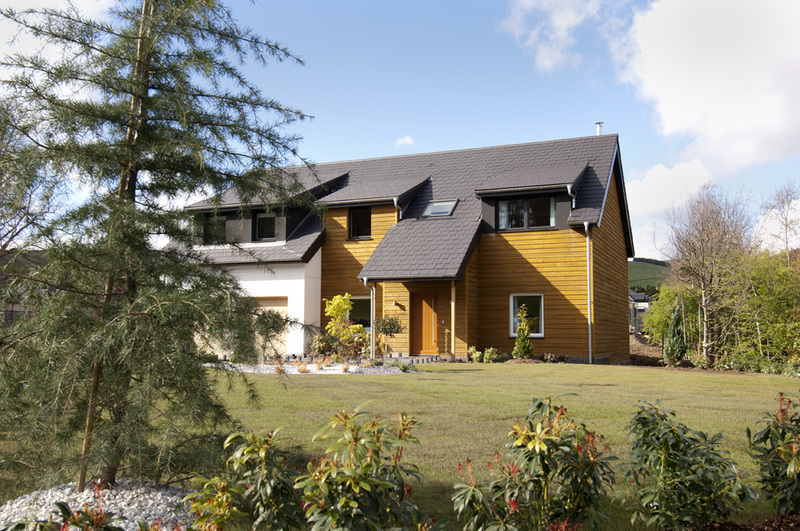 Each home is built using a closed panel timber system which we have developed with our partners at Scothaus. By using the innovative, proven, off-site manufactured build system, Eskgrove homes easily surpass the quality and performance of current generation, traditional, on-site building methods. The system is structurally and thermally engineered to Eskgrove Home’s precise requirements and delivers outstanding thermal performance. Scothaus construct the ‘closed panels’ that make up the walls, floors and roof. Then windows and external doors are fitted and integrated with the external wall panels in the factory. This build system virtually eliminates the likelihood of interstitial condensation therefore improving our homes’ lifespan. The combination of exceptional air-tightness and thermally efficient fabric mean that our home’s emits lower levels of CO2. The reduced heat loss means that our homes will require a relatively smaller sized heating system thereby decreasing energy costs. 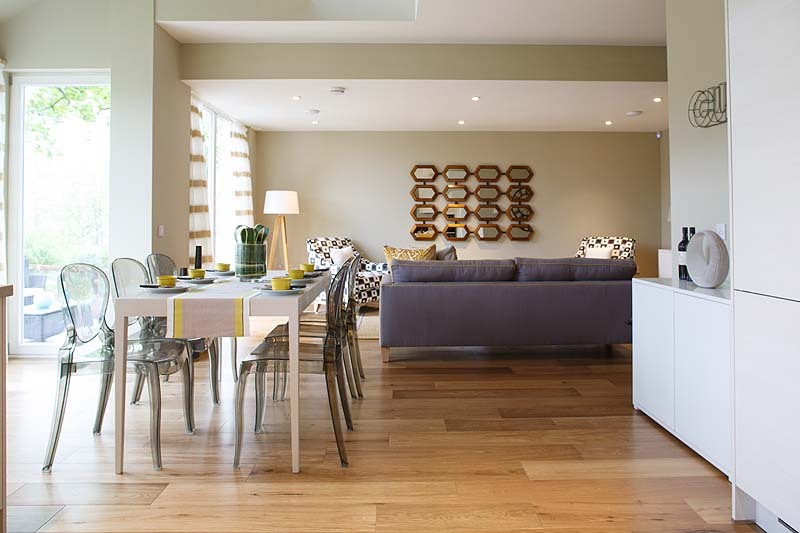 Eskgrove Homes are designed with an energy consumption of 70 kWh/per square meter/per year, Typically, owning an Eskgrove Home means that annual energy costs could be reduced by more than 50%. Airtightness rating of 0.54 air change per hour – passivehaus is 0.60. Superb acoustic performance, easily surpassing the standards required by building regulations, further enhancing the enjoyment the owner will get from their new home. The use of natural light is an essential element of the design with expansive use of glazing to public areas in particular. Careful compensating detailing reduces energy costs and improves the appearance of our homes but also affects the health and mental well-being of those people living in them. 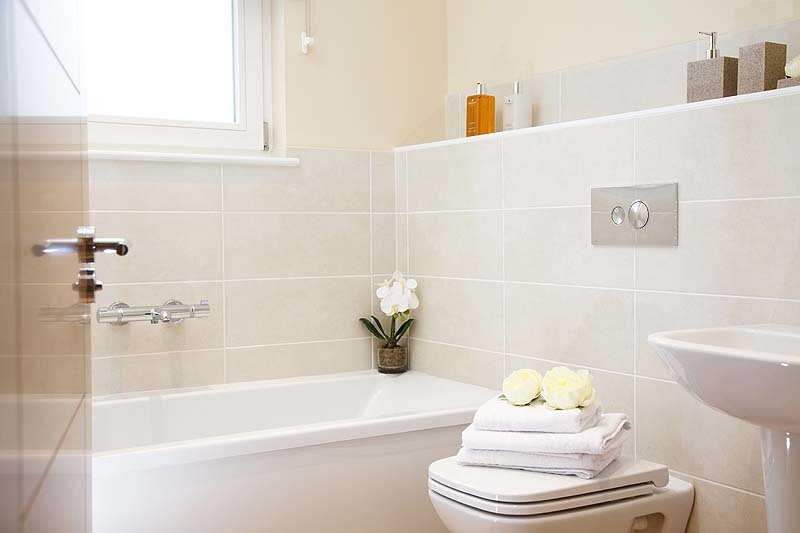 Owners can customise their new home with a range of options. Polished granite external cills and reconstituted stone internal cills.